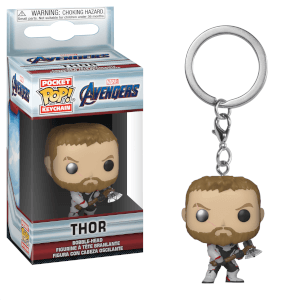 The hotly anticipated Avengers: Endgame Pocket Pop! Keychains are here from Funko! This Thanos Pocket Pop! Key Chain measures approximately 1 1/2-inches tall and comes packaged in a window display box.